Bilberry is a type of fruit produced by the Vaccinium myrtillus shrub. The dried fruit and fruit extract of this berry may be medicinally beneficial in the treatment of vision problems, wounds, diarrhea, diabetes, vein insufficiency and atherosclerosis, the University of Maryland Medical Center explains. This fruit may also be enjoyed fresh or prepared as a jam or pie filling. Talk with your medical provider about the side effects of bilberry supplements before you begin treatment. Infrequently, a severe allergic reaction may occur following initial consumption of bilberry or bilberry supplements, Drugs.com warns. Symptoms associated with an allergic reaction include oral swelling, breathing difficulties, weakness, pale skin, stomach discomfort and hives. Seek emergency medical care if you exhibit any of these symptoms after taking a bilberry supplement. In the absence of appropriate and prompt medical care, an allergic reaction to bilberry may induce life-threatening complications. Regular, short-term use of bilberry supplements typically does not elicit notable side effects; however, prolonged treatment with this supplement may be toxic. Bilberry supplements contain between 5 to 10 percent catechin tannins, the Memorial Sloan-Kettering Cancer Center reports. These tannins may cause severe and potentially life-threatening side effects, including muscle spasms and unintended weight loss, when consumed in excess. Contact your physician immediately if you develop any signs of bilberry overdose of toxicity to ensure you receive appropriate medical care. Talk with your physician about any medications you are currently taking before you begin treatment with bilberry supplements. Concomitant use of bilberry supplements and anticoagulant medications may enhance the effects of these blood-thinners, the UMMC warns. Improper use of bilberry supplements and anticoagulants my increase your risk of experiencing bleeding or bruising complications. 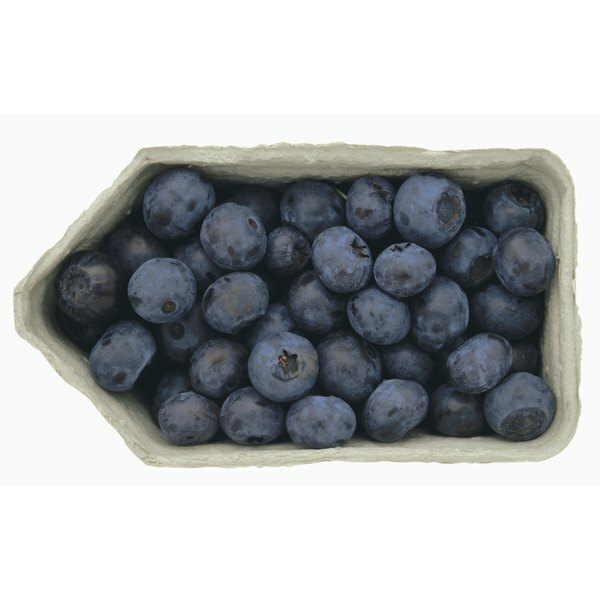 Additionally, bilberry may decrease your blood sugar levels and can increase the effects of medications indicated for diabetes. Taking bilberry supplements in conjunction with diabetes medication may cause a significant drop in your blood sugar levels and may cause hypoglycemia symptoms. Discuss any current or pre-existing medical issues you have with your medical provider before taking bilberry supplements. Due to the lack of sufficient safety data, women who are pregnant or nursing should not take bilberry supplements unless otherwise directed by a doctor, Drugs.com reports. You should avoid taking bilberry supplements if you are scheduled to undergo surgery in the next 14 days. Additionally, bilberry may worsen symptoms associated with pre-existing blood clotting or bleeding disorders.